Done at any flat surface of our body, dermal piercing or micro dermal piercing is one of the most in-vogue fashion trends. People are highly opting for body piercing at unusual places. Ranging from belly button to eyebrow ends, dermal piercing can jewell any part of your body. If you are also lusting for a beautiluscious belly button and looking for more information on dermal piercing, check the article. It tells you all about the art of single point body anchoring. 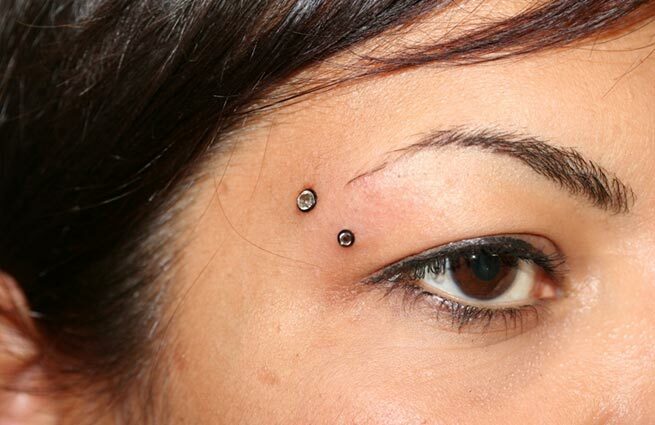 What are the types of dermal piercing? 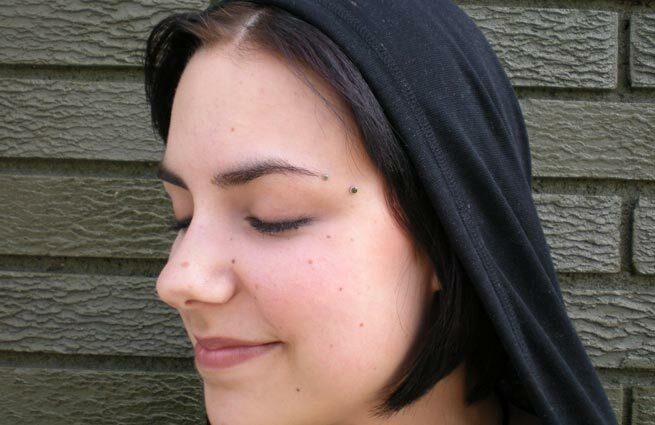 Types of dermal piercing vary as per body location as well as dermal anchors. There are commonly three types of dermal anchors. These are common Dermal Anchors, Skin diver and skin diver wheels. Dermal anchors give an impression of foot and ankle. In it foot (it’s the base) sits inside skin while ankle sits perpendicular. It is considered as a permanent body piercing and can be removed only surgically. Skin diver comes with little smaller arrowed base while skin diver wheel comes with a long base and detachable top option. These two are easier to remove. 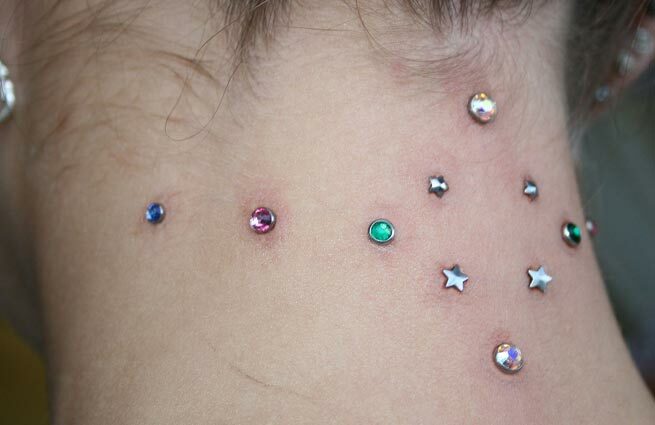 What is called dermal piercing rejection? When a dermal anchor is inserted in body, there are chances that body cells consider it as a foreign object. When body cells treat foreign objects as a threat to health, they try their best to heal the skin and remove the object from body. In such scenario, body rejects to accommodate dermal anchor and piercing gets healed. This is called dermal piercing rejection. However, the rate of rejection in dermal/micro dermal anchoring is only 2% but you must take proper care of the pierced body part to avoid probable rejection. 1. Dermal anchoring is done by forcefully inserting dermal anchors in your body. This makes skin to bleed. Once, the bleeding is stopped, you must cover the area with help of a bandage. It’ll also reduce the probability of piercing rejection. 2. To avoid any sort of infection, you must maintain necessary hygiene. 3. After bandage is removed, you must clean your skin with help of a salty solution at least once a day. 4. It takes around 4 to 8 weeks for your body to get habituated to the dermal anchor. In this period, you would also gets healed but it is important to maintain complete cleanliness during the period. Before you opt for body piercing, you must try to know all about skills and proficiency of the practitioner. It is also crucial to know about the material type and quality of dermal anchor. It’ll be always the best if you opt either for surgical steel made anchor or titanium skin drives. These metal not only cuts down probability of infection but also prevents piercing rejections.